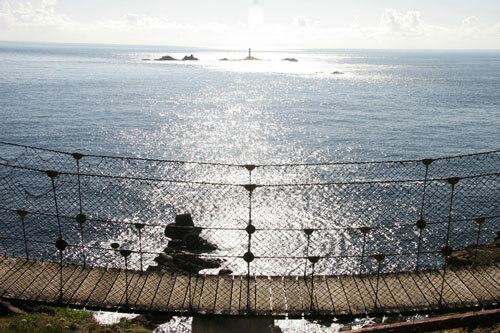 As a province, the sanctity of Cornwall’s Land’s End peninsula is unsurpassed in Britain. So why has its significance been overlooked? I believe the answer lies in its name. Nestled precariously on Cornwall’s inhospitable Atlantic coast, the Land’s End peninsula is imprinted with thousands of years of myth and legend. Its shores are peppered with romantic coves and secluded beaches while its windswept fields preserve the memory of more dignified times. 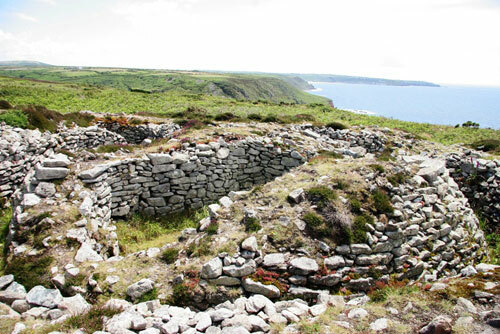 Today, megalithic monuments, Celtic shrines and ancient tin mines dot the Landscape, recalling the day when pagan princesses, pirates and smugglers roamed the land. The place is special, and has been so for a very, very long time. In 1998, a team of Russian scientists set out to identify the most likely location for the lost antediluvian civilisation of Atlantis. After considerable analysis they set their sights on Land’s End and a stretch of sea 100 miles offshore called the Celtic Shelf. The land, which had been submerged since the last Ice Age, lies just beyond the neighbouring Isles of Scilly. The Russians could be forgiven for believing this was Atlantis; after all Plato quite clearly stated that the fabled city was located just beyond the Pillars of Hercules – or the Straits of Gibraltar, and this is where the Celtic Shelf resides. Here, Tennyson describes Lyonesse as the site of the final battle between Arthur and Mordred. This is not surprising, as traditional mythology associates the Kings of Lyonesse with legendary Arthurian characters, such as Tristan. 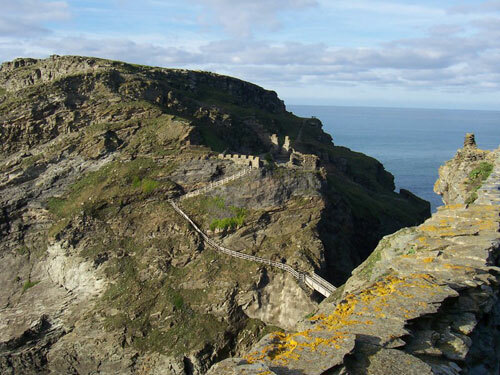 As an aside, Tennyson’s work also featured Tintagel, the dramatic and ancient cliff side ruins on Cornwall’s north coast, alleged to have been Arthur’s birth place. 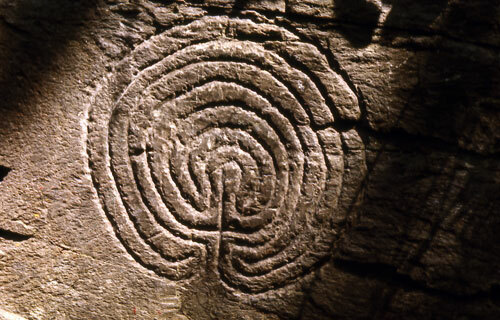 Just a couple of miles from Tintagel, in Rock Valley, exists an even more interesting site; a seven ring classical labyrinth carved on a rocky outcrop. The symbol of the labyrinth was prevalent across the ancient world and is thought to represent spiritual pursuits and otherworldly realms. The design dates back millennia, and some argue, all the way back to the time of Atlantis. 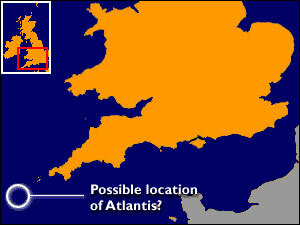 However, most believe that the association of Lyonesse with Atlantis is merely a folk memory of the flooding of the region around the Scilly Isles. But does that confirm or invalidate the historical context of the myth? Take for instance the Trevelyan family of Cornwall, who derive their coat of arms from the story of when Lyonesse sank beneath the waves and the sole survivor – a man named Trevelyan – escaped on a white horse. Based on the legend, the family adopted a shield with a horse rising above the waves. Regardless of its authenticity the memory of a cataclysmic flood and a surviving flood hero appears to have been retained in the folklore of the peninsula and its people, like it has in so many ancient lands. Not far from where Lyonesse is said to have flourished – and ultimately perished, Saint Michael’s Mount sits stoically on a jagged grey hill across the bay from Penzance. At low tide the majestic castle is joined by a natural causeway with Marazion, a town believed to be the oldest in Cornwall, and as we shall see, some would argue the oldest in all of Western Europe. 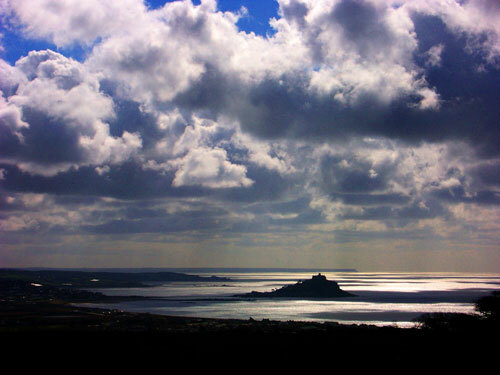 The Cornish name for Saint Michael’s Mount means “the grey rock in the wood”. A forest once populated Mount Bay and the dramatic outcrop of grey granite could be seen rising above the tree line. As with many sites revered by ancient pilgrims and modern-day spiritualists, an apparition or religious vision occurred at Saint Michael’s Mount. Legend tells us that the Archangel Saint Michael appeared in 495 A.D. and a church was promptly erected in his honour. 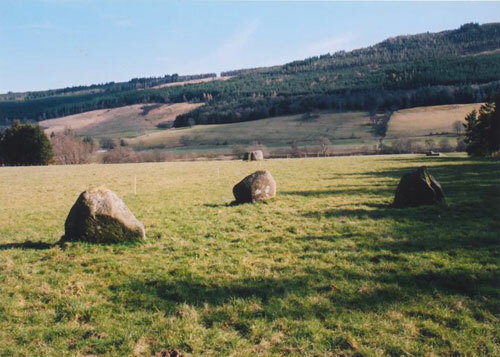 A few centuries later, a Celtic monastery was established and presided over by Benedictine monks. A local tale popular with tourists recounts how a giant named Cormoran terrorized the Mount before being tricked and slain by a farmer’s son named Jack. 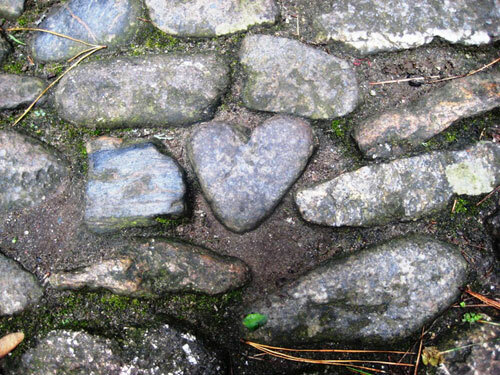 The giant’s heart was removed, preserved and incorporated into the cobbled stone pilgrim’s path leading to the Mount. 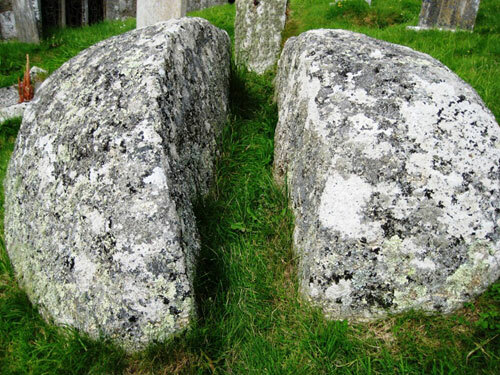 The stone immortalizes the memory of Cornish man’s victory over evil, and the beast with the ‘heart of stone’. Any review of the legends of Saint Michael’s Mount would be incomplete without mention of the Saint Michael’s ley line that runs northeasterly from Mount Bay across the country for several hundred miles, intersecting ancient edifices dedicated to Saint Michael in its path. 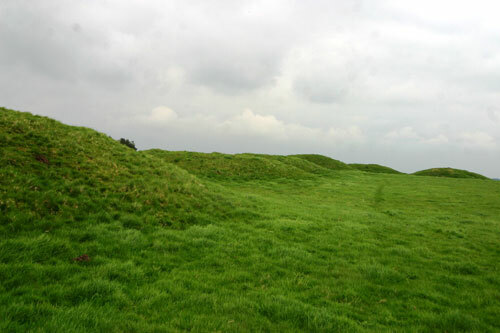 Real or imagined, this granddaddy of ley lines runs through sacred sites such as St Michael’s Church Brentor, St Michael’s Church Burrowbridge, St Michael’s Church Othery, St Michael’s Church, Glastonbury Tor, and Stoke St Michael before coming to an apparent end in Bury Saint Edmunds, Norfolk. Research by authors Hamish Miller and Paul Broadhurst has identified another ley line that intersects the Saint Michael line – at Saint Michael’s Mount. 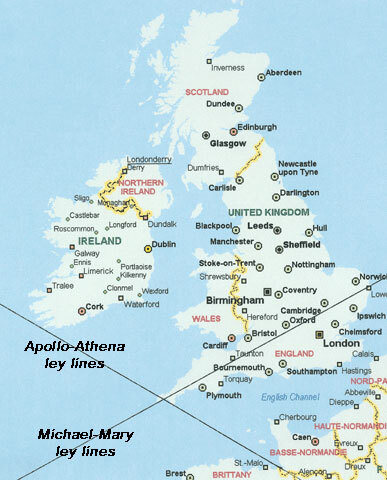 The line starts in Ireland at the monastery of Skellig Michael before connecting to Saint Michael’s Mount in England, France’s Mont Saint Michel, and then onto a variety of sacred sites, such as Sacra di San Michele, Assisi, Delphi, Athens, Rhodes and ultimately Mount Carmel in Israel. Whether one attributes these alignments to serendipity or conscious design, they certainly add to what is undoubtedly a magical legend. 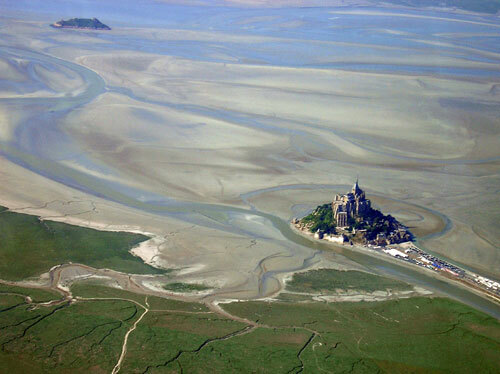 A special relationship exists between Saint Michael’s Mount in England, and Mont Saint-Michel in France. The sites are effectively mirror images of each other, i.e. name, setting, history, etc. and their visual similarities are striking. Curiously, even the most callused visitor can sense the extraordinary energy they produce. The two centres of worship also share the same apparition; Saint Michael is said to have appeared in a vision at the French Mont St Michel in 715 A.D., and at the Cornish St Michael’s Mount, as previously noted, in 495 A.D. The list of similarities between the two lands just goes on. Another interesting, inverse relationship between Cornwall and France is their flags. The Cornish flag is a white cross on a black background while the former Breton (Brittany) flag is a mirror of the Cornish. The Cornish flag is called the banner of Saint Piran; the patron saint of tin-miners. Cornwall, as we shall discuss in some detail, was a major tin mining centre in the ancient world and Saint Piran is alleged to have adopted the flag’s color and design after witnessing the white tin in the black coals during his discovery of tin. Oddly, both flags are known by the same name; Kroaz Du, meaning Black Cross. The Black Cross is said to have been the flag used by the first Crusaders, and symbolizes the light of truth shining through the darkness of evil. The Cornish Coat of Arms represents another Crusader reference; its shield depicts 15 gold coins (bezants) in the shape of a triangle and includes the motto One and All. The story goes that the Saracens had captured the Duke of Cornwall and were holding him ransom in exchange for 15 gold coins. In order to save their hero, Cornish people from all walks of life rallied together and raised the necessary money to free the Duke, hence the motto, One and All. Not surprisingly, the Cornish Coat of Arms is enclosed by a frame of waves – much like the county itself is enclosed by water, echoing the memory of Lyonesse. Above the shield is a Chough, a member of the Crow family of birds, and a local legend in Cornwall. The Chough was once quite common on the cliffs of Cornwall, but was extinct for 50 years until conservationists re-established it through breeding in captivity near Land’s End. Cornwall without the Chough is similar to the Tower of London without the Raven, and its return, albeit through controlled means, is viewed as highly auspicious. Standing on either side of the Chough are a tin miner and fisherman, symbolizing Cornwall’s two most important trades, historically. There are still further similarities between Cornwall and Breton, such as their flood mythology. Like the legend of Lyonesse, Breton has its own version of a sunken kingdom in the tale of the Cité d’Ys, which was submerged as a result of its wantonness. As in the story of Lyonesse, the Breton flood myth ends with a sole survivor – King Gradlon – who manages to escape on a horse. There are also similarities between the Cornish and Breton languages, no doubt stemming from a common Celtic Past. Clearly, the parallels reinforce the belief that in ancient times the two lands where connected in special ways, now largely forgotten. 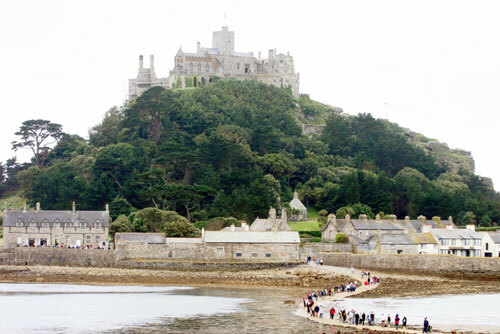 The ancient village of Marazion connects Saint Michael’s Mount to the Land’s End Peninsula via a tidal walkway. The place is special in Cornish traditions; John Wesley preached there and the first Quaker meeting house in Cornwall was established there over 300 years ago. However its true place in history goes back much further, still. The name ‘Marazion’ is an amalgamation of two adjacent villages that have merged into one; Market Jew (Marghas Yow, or ‘Thursday Market’) and Marazion (or Marghas – or ‘Little Market’). Both names are Cornish, and local historians are quick to point out that neither implies a connection with Jews or Zion. Still others translate Marazion as ‘Zion by the Sea’, and as we shall see, this is not as farfetched as it first appears. 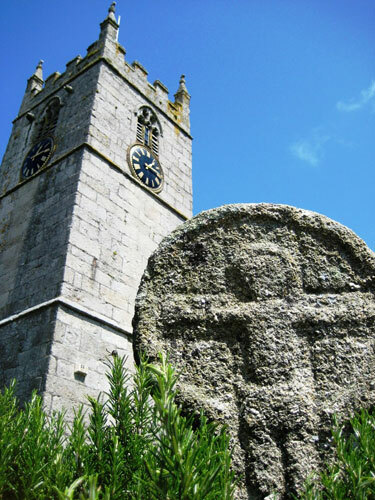 Marazion may well be the oldest town in England and possibly all of Western Europe. 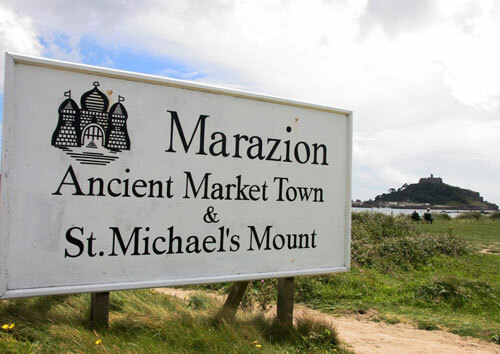 This is due to the belief of some historians that Marazion is the Mictis of the historian Timaeus and the Ictis of Diodorus Siculus; the author of each work studied the lost texts of Pytheas, an ancient Greek geographer who visited Britain in the 4th century BC. Certainly the stone carvings in the cemetery of All Saints church (formerly Saint Hilary’s, which burnt in a fire in 1853) confirm an ancient origin, as several date from the 4th century and one even pays tribute to Constantine the Great. Another stone is inscribed with ‘NOTI NOTI’, which has been translated as the mark of Notus, however accompanying the inscription are symbols whose meaning remains a mystery. There is ample evidence of the presence of Jewish communities in Land’s End in modern times. Just down the road from Land’s End point, in Sennen Cove, the 1876 Round House contains a Star of David carved in a roof beam. The house was constructed to allow fishermen to dry and mend their nets before trips. 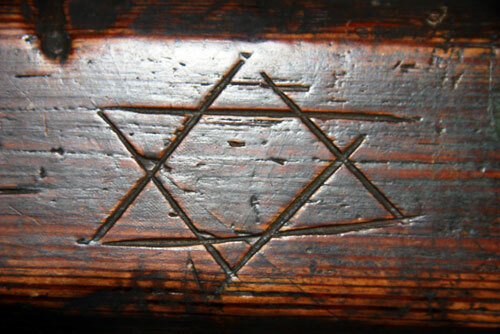 Still one must ask what proof exists to confirm a Jewish occupation in Cornwall in ancient times. Cornwall’s Red Book of the Exchequer, circa 1198, contains a clause referring to every “man or woman, Christian or Jew.” However to find earlier references we must turn our attention to more speculative accounts of fabled biblical characters and England’s most enduring legends – those of Christ on its shores. 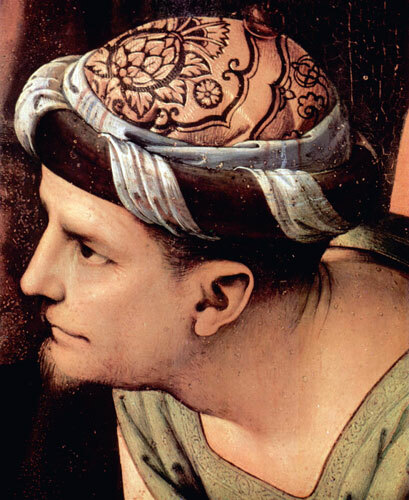 Researchers and historians have noted that Christ’s uncle, Joseph of Arimathea, was a wealthy Jewish tin trader who made regular trips to Britain. 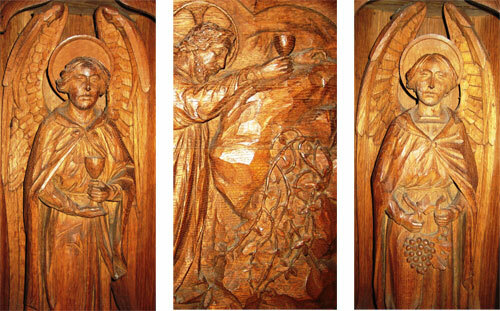 Legend suggests that on at least one occasion he was accompanied by his nephew, Christ. Joseph is less known for his role as a tin merchant, and this should come as no surprise as there are few detailed accounts of his life. 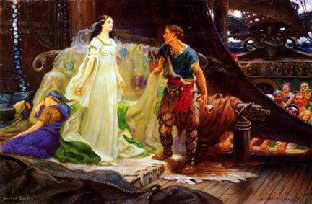 Nevertheless, there are countless legends of Joseph and Christ in England, a handful of which we shall review now. “The Apostles passed beyond the ocean to the Isles called the Brittanic Isles”. 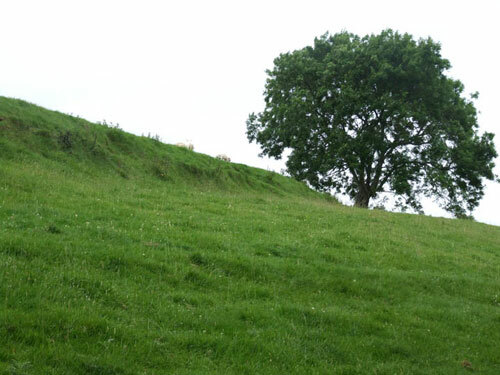 Joseph’s association with Glastonbury – a town long believed to be the true Arthurian Avalon, appears to have been the impetus for his association with the Holy Grail. As the 13th century approached the Burgundian poet Robert de Boron wrote the first account of Joseph’s life – the aptly named Joseph d’Arimathe, which featured the Holy Grail as the chalice used at the Last Supper. 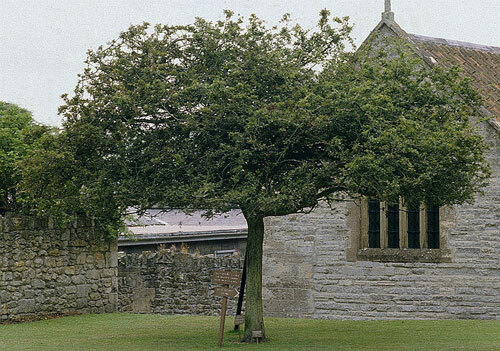 The cup was given to Joseph by his superior Pontius Pilate, who as another legend recounts, hailed form Fortingall Scotland – a strange village in the exact centre of Scotland with the oldest tree in Europe and a number of ancient stone circles and carved stones with cup marks. Boron tells us that Joseph used the cup to catch the blood of Christ as he was dying on the cross and that later, Joseph’s followers took the chalice – the Holy Grail – to Britain. From this point onward, Joseph, Christ and the Holy Grail were inseparable in literature, and the story was regarded as fact in countless new age accounts. Each was born under auspicious circumstances and died with mystical associations and a prophecy to return from the dead in our hour of need. 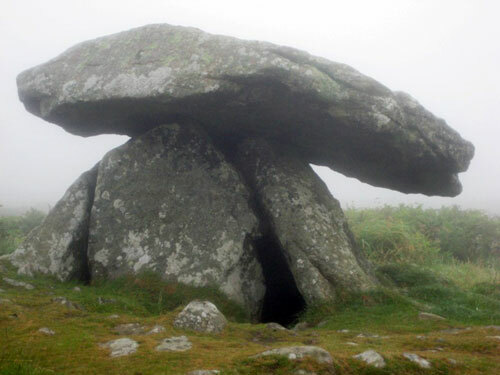 Once again, the similarities are interesting, and would appear to represent an archetype of some sort of Grail Savior – a theme of considerable significance in Cornwall. 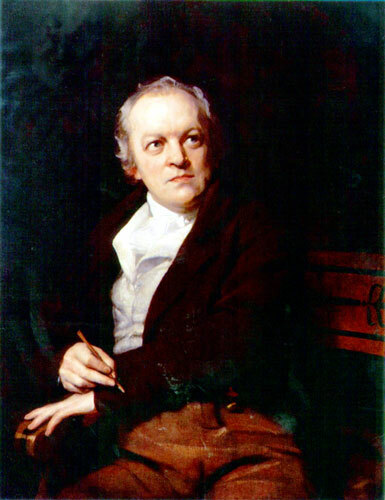 However, the most popular account of Christ in England belongs to William Blake, whose epic poem Jerusalem (subtitled The Emanation of the Giant Albion) is widely believed to reference the presence of Christ in England. Blake, a member of The Royal Academy, began the poem in 1804 and finished it some 16 years later – complete with 100 illustrations. Few recall that Blake’s popular poem was written as a preface to another more important piece, namely Blake’s larger-than-life work, Milton. The hero of the story, John Milton, returns from heaven and encourages Blake to develop his relationship with dead writers. The poem is apocalyptic and deals with the union of the dead and the living, the male and the female, and varying forms of reality. So was Blake merely preserving the memory of when Joseph of Arimathea travelled to Britain with his nephew, Christ – or does it allude to something more – something different? 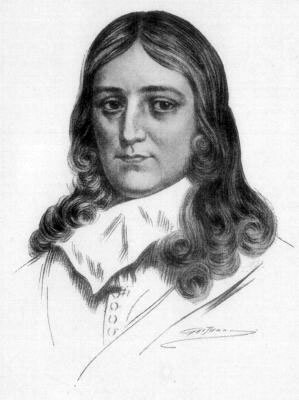 Again, the debate on what exactly was meant by ‘dark Satanic mills’ has ranged from megalithic sites, which Blake regarded as satanic, to the coming of the industrial revolution – which he found even more distasteful, to the perceived evils of the Church of England and even the Universities of Oxford and Cambridge. 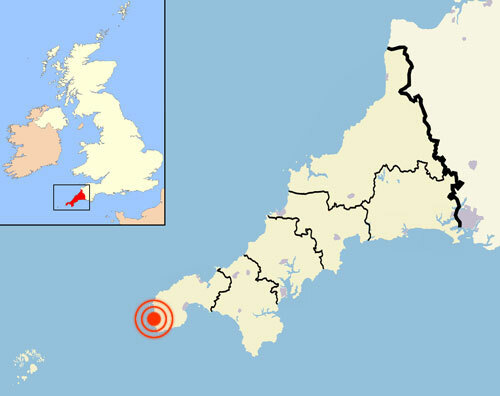 The megalithic association with ‘dark Satanic mills’ is interesting for Cornwall, and Land’s End in particular, possess more than its share of tin mines – the precursor to the industrial revolution, as well as stone circles, standing stones, dolmen and an unusual underground monument indigenous to the peninsula, called Fogou’s. 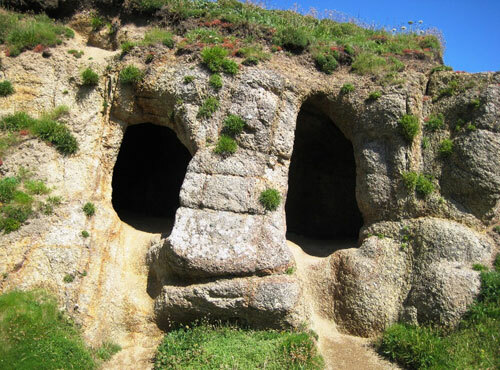 Fogou’s are a peculiar type of ancient monument, unique to Land’s End. Its name derives from fogo and fócw, meaning ‘Cave’ in Cornish and Celtic languages, respectively. 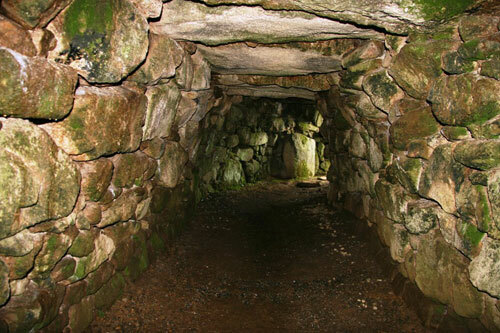 Fogou’s are thought to date from the late Iron Age – circa 500 BC. 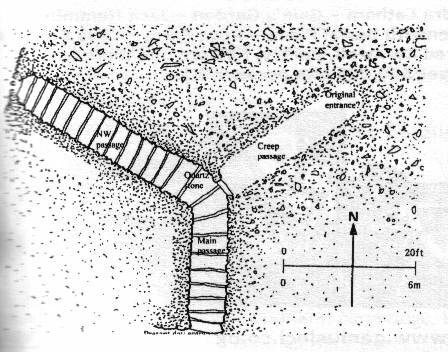 Their primary feature is a curved roof passage leading to an underground hollow, where an adjoining chamber is reached through what is known as a “creep” passage. Typically the main passage – not the entrance – is astronomically aligned. Not surprisingly, the archeological jury is undecided as to the function of the Fogou. 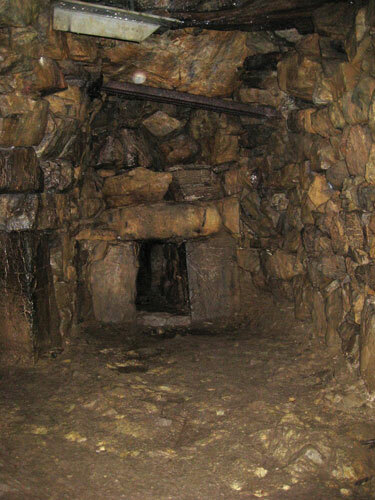 Practical theories suggest they were used for food storage – particularly the drying of meat, and / or provided shelter from the harsh winter snow and rain, not dissimilar to how Tacitus, the Roman senator and historian form the end of the 1st century, describes caves built by Germans for the same purpose. 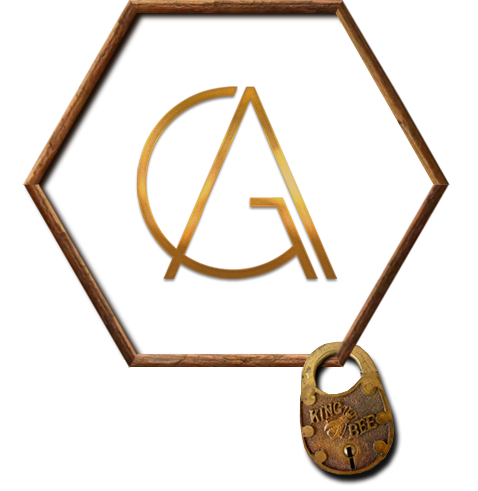 This theory is strengthened by the Greek historian Diodorus Siculus, who observed that tribes in Iron Age Britain built ‘underground repositories’ to store their grain. 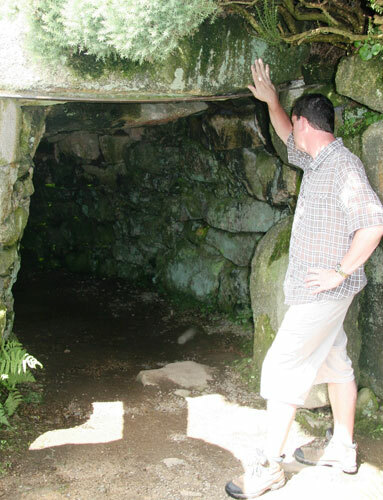 However, Fogou’s are extremely damp and constructed with elaborate lintels too narrow for normal human activity, leading many to conclude that their function was more ritualistic than domestic. The prevailing consensus is that Fogou’s were religious centres built by chieftains for shamanic rituals and initiations. 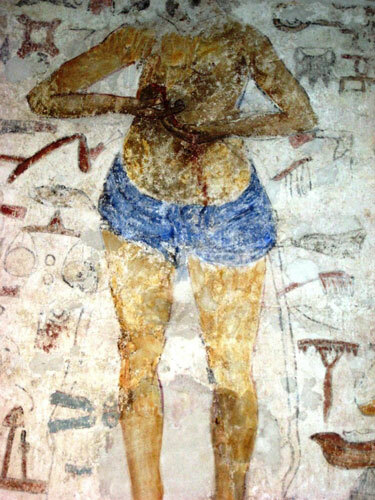 To this day, those who enter Fogou’s experience otherworldly images, particularly women, and some Forou’s are used by New Age communities as re-birthing ritual centers, such as the Boliegh Fogou. 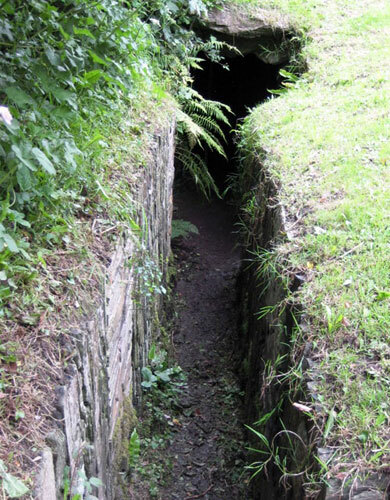 Earth energy proponent Paul Devereux points out in his book, Power Places that the radiation levels in Cornwall are abnormally high in general and twice as powerful in underground chambers, such as Fogou’s. Many believe this fact offers an explanation for the large number of hallucinogenic experiences that occur in these structures. Generally speaking, Land’s End’s Fogous are unique in Britain, yet bear a striking resemblance to the French Souterrains (meaning under ground) of Brittany. Again, this is not surprising as we have already touched upon many of the similarities between these two lands. 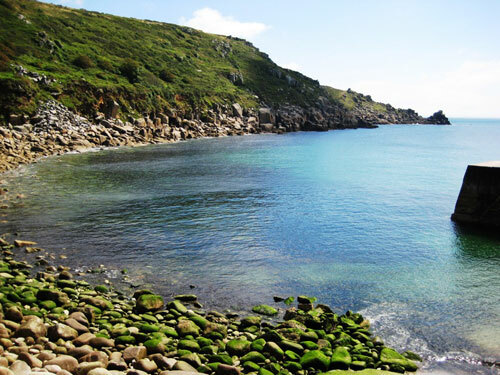 Celts from Brittany are known to have sailed to Land’s End and landed at Lamorna Cove – not far from the Boleigh Fogou. Here, dozens of enigmatic megalithic monuments haunt the landscape – as they do in France at the more famous megalithic centre known as Carnac. Sadly, the spectacular megalithic sites of Land’s End deserve more mention than can be afforded here, however we will indulge in one particular site just a bit further. 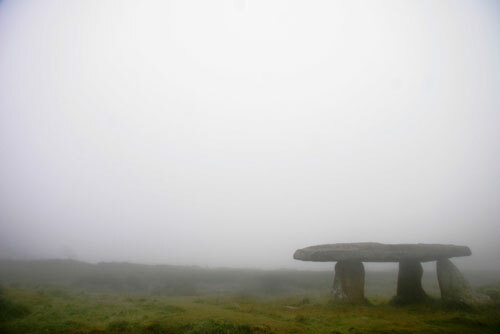 In the middle of a desolate field more frequented by mist and fog than sun sits Land’s End’s most celebrated megalithic site, Mên an Tol; the crick stone, so named for its ability to help cure back aches. 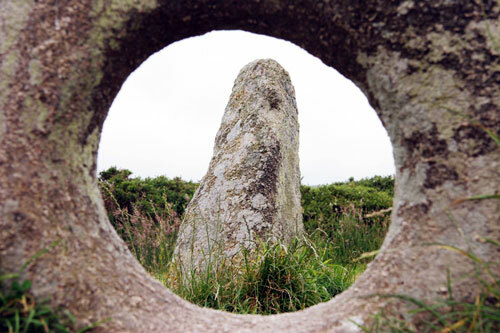 Mên an Tol is one of several holed stones on the peninsula and both folklore and archaeology suggest a ritualistic function. Children with rickets were cured when passed 3 or 9 times through the hole against the sun. Adding to the myth, in more recent times an incident was reported when the Pisky guardian of the site was thought to have swapped an innocent human child for one of his own. The child’s despondent parents were required to pass the pisky child through the holed stone in order to reclaim their human child. 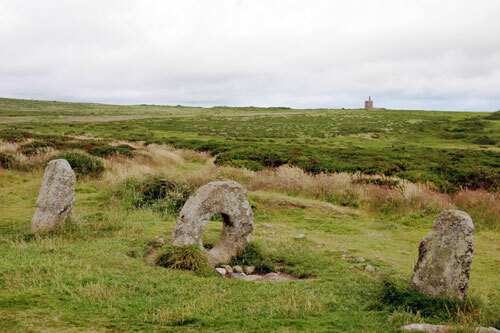 Mên an Tol sits along the Tinners Way, a 12 mile pathway that connects ancient sites across the West Penwith moors from St Ives to St Just. In a famous case from 1977, a couple lodged a complaint with local authorities after being attacked by circling balls of light while walking on the pathway. The Tinners Way eventually meanders along the outskirts of Zennor, an ancient village known for its stone rows, witch’s rock, quoit and legends of mermaids. The legend of the Zennor mermaid is preserved in a 600 year old carving of a mermaid on the side of a bench in the Zennor church. The legend recalls the day when a mermaid lured a local man out to sea – never to be heard from again. The young man, named Matthew Trewhella, was admired by the mermaid for his exquisite voice and splendid singing in the local church choir. 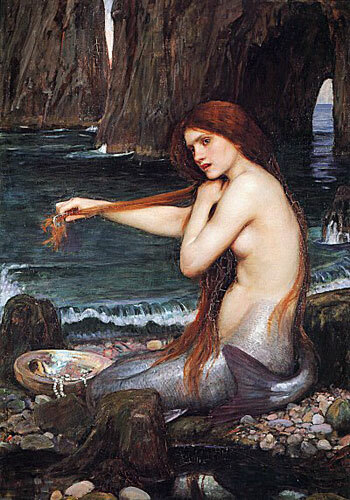 Eventually the mermaid overcame her inhibitions and started to visit Trewhella more frequently, remaining as long as possible before returning to the sea. Ultimately, the young man became equally enchanted with the mermaid and one night followed her into her watery realm, never to be heard from again. The entire locale is captivating and supports the legend in peculiar ways; nearby is a field with the ancient place name of The Green Man, and a little further along the coast is the village of Morvagh, which recalls the name Morverch, meaning mermaids or alternatively, sea grave. 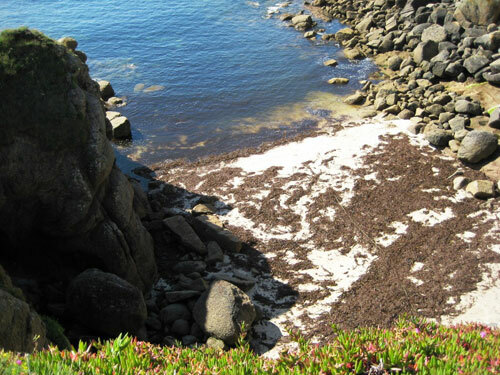 Curiously, the tale of the mermaid is recalled across the peninsula at the cove of Porthgwarra. Here a natural cave structure forms a benevolent looking guardian face that looks out over the natural harbour below. The legend of Porthwarra parallels that of the mermaid at Zennor but for one intriguing difference; here the roles are reversed. This time, legend recalls a young man who lured his lover into his watery realm. The story recounts the tale of a young Cornish sailor who fell in love with the local farmer’s daughter. The couple vowed to wait for each other while the young man was at sea for several months, but he never returned, and after three years time was presumed dead. Then one night the young man appeared at his lover’s window, beckoning her to follow him to the cove where his boat was waiting; they would be together once more. His lover obliged, and neither was heard from again. Just what, if anything, are these curious legends of lovers lured into mystical watery realms meant to convey? The first account of mermaids appeared in Assyria around 1000 BC; 3000 years later they remain alive and well in Cornwall. Do they speak of the same memory? 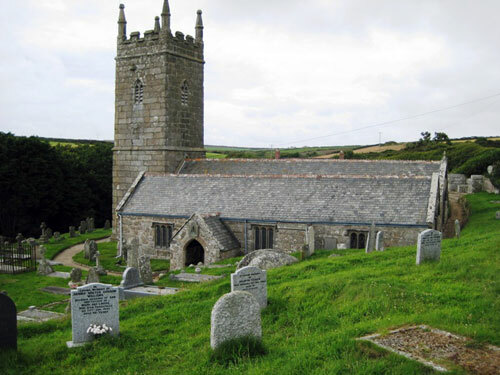 While the mermaid is a popular image in old church frescoes across Cornwall, Saint Senara church in Zennor, Land’s End, is in fact the only example of a mermaid carving. However, other carvings in Land’s End eco a similar memory of fairytales and legends, and are worthy of mention. 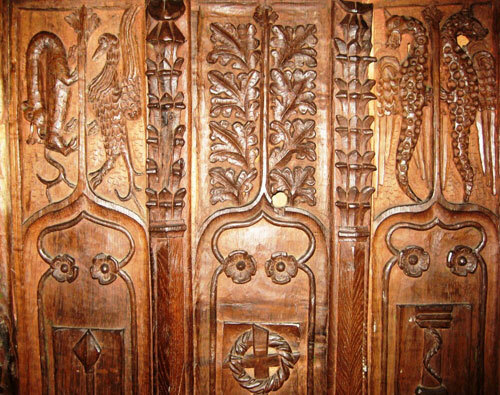 At Saint Levan Church a number of curious bench-end carvings echo those of the mermaid in Zennor. 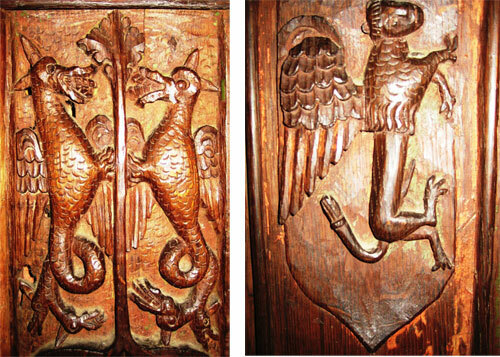 Here serpents, griffins and other-worldly creatures commemorate the church’s pagan past. 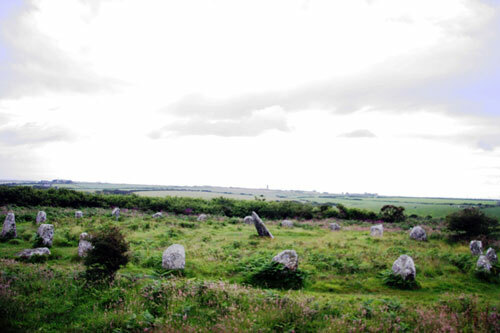 Like many pagan shrines in Land’s End, Saint Levan’s stone is associated with fertility rites. 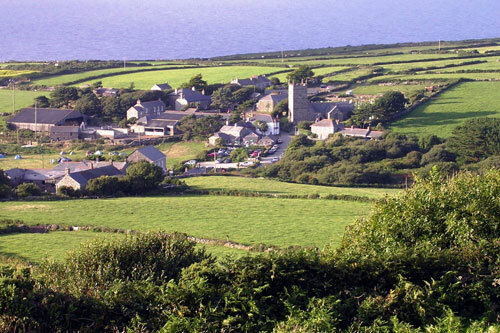 Saint Just-in-Penwith is the nearest town to Land’s End and maintains a 14th century church built over a far earlier place of worship. A Celtic cross adorns the cemetery and inside the church are a number of peculiar artifacts, including an original wall mural of a figure surrounded by unusual objects ,such as scales, an anvil and hammer, a horn, a mermaid, a rake, a ladder and a boat bearing a fish, amongst others. Just what – and whom – was concealed beneath the painting remains a mystery. And like so many aspects of Land’s End, what little we know suggests there is much more we have yet to learn. Cornwall boasts an impressive assortment of local Saints and many early Christian shrines on the Land’s End peninsula recall their glory. It’s worth noting that these Saints are not in fact canonized, but rather represent an assortment of local druids and missionaries from Wales and Ireland who were revered within the community for their perceived holiness and ability to teach. 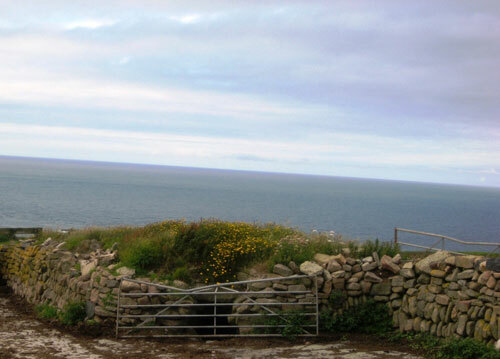 Of all the shrines dedicated to them, none is as widespread or arguably as evocative as the holy wells of Land’s End. Over two dozen holy wells exist in the immediate vicinity of the Land’s End summit, the most famous being the Holy Well at Madron. Here the ancient ruined chapel continues to draw visitors, mostly the physically disabled who are and hoping to reproduce the fortune of John Trelill, a 17th century man who was handicapped for 16 years yet cured of his affliction after bathing in the well’s holy waters. Nearby, pilgrims underscore their prayers by leaving a cloth in a sacred spirit tree. Much of what makes Cornwall special, and Land’s End in particular, is simply its unique Cornish heritage. Sadly, the ancient Cornish language is no longer spoken and many believe it died when Land’s End resident Dorothy Pentreath passed away in 1777. 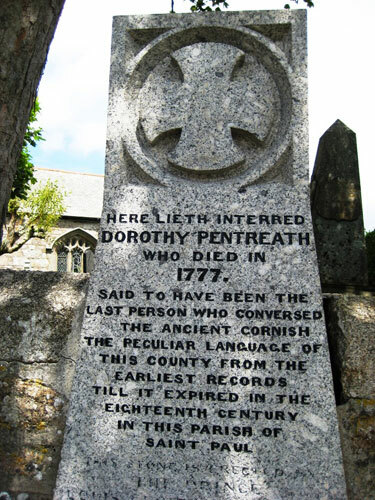 Pentreath was regarded as the last Cornish speaking resident, and with her passing, symbolically if not literally, an end of an era may truly have passed. Despite the passing of Pentreath, Cornwall’s old customs are preserved in surprising ways. In Helston – just up the southern coast from Land’s End – an annual ceremony marks the passing of winter and the arrival of summer. 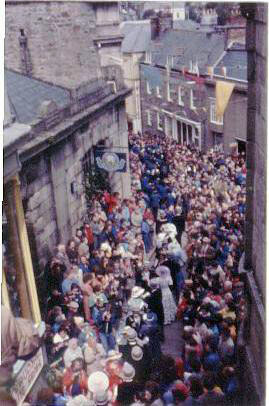 The Furry Dance, or Flora dance as it is called locally, takes place on May 8th – the feast day of Saint Michael. Amongst the day’s many festivities is a ritual called Hal en Tow – the oldest portion of the entirely pre-Christian celebration. The ritual includes the singing of a song about Robin Hood, Saint George and the coming of summer. Interestingly, in old English an alternative spelling of Robin was Hob, which in medieval times meant spirit of the underworld, prompting one to speculate if Robin Hood was in fact a Pisky? 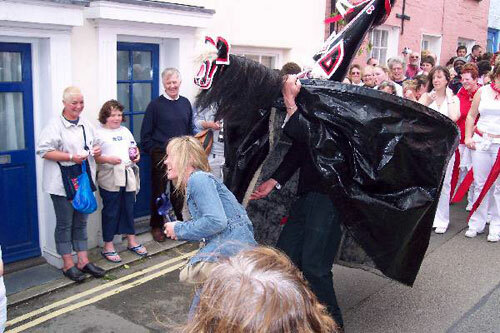 Similarly in Padstow, just up the northern coast from Land’s End, an annual May Day celebration is held called the ‘Obby Oss’ festival. The ritual celebrates the Celtic festival of Beltane and commences at midnight and lasts the entire next day. 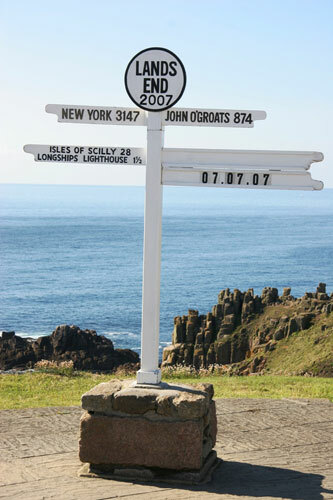 Today, Land’s End remains a popular tourist destination and a paradise for hikers, cyclists and enthusiasts keen to undertake the well traveled 874 mile journey from John O’Groats, Scotland to Land’s End, the southern most tip of the island. Disappointedly, Land’s End village has been horribly exploited in recent years, having been reduced to a second rate children’s amusement park. 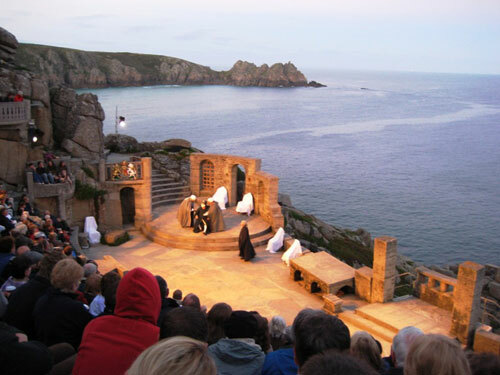 Only the nearby Minic Theatre – a significant tourist attraction in its own right, remains in keeping with the grandeur of the landscape and its legends. I mentioned from the start that Land’s End may not be fully appreciated due to its name. What I meant was here is a land so steeped in myth and legend that its narrow shores are the archetypes for both Atlantis and Christ in England, not to mention legends and apparitions of Saint Michael, mermaids, pirates, pixies, pagans and megalithic man. I believe that the whole of Cornwall is special, albeit under-appreciated, and Land’s End in particular. Thus, all things considered, I believe a more fitting name might be Land’s Beginning. I suspect you agree.